L.A. Noire Remaster Might Be In Development | Nerd Much? 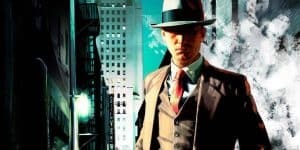 Back in January Twitter user Yan2295, a Rockstar insider, claimed that not only will L.A. Noire be getting a remaster, it will be coming to the Nintendo Switch. This was backed up later by another insider, Direct Feed Games, who extended the remaster to the PS4 and Xbox One. The latter also mentioned a release date of late summer 2017. It seems that we can be fairly confident about these rumors, but given that there has been no official announcement yet, it is likely the remaster was pushed back to 2018. The same year Red Dead Redemption 2 is supposed to come out, making it quite the busy year. Another third party game on the Switch is always a major plus, especially one so integral to gaming history. Though the debate of whether or not L.A. Noire is a good game will be going on forever, no one can deny the somewhat realized potential of the game and it’s contribution to the industry. Upgrading this classic game to current systems is a boon to both older and younger audiences.